Spring is in the air, the coldest months have passed and sunshine is on it’s way. We may have lost an hours sleep, but it’ll all be worth it in the name of lighter evenings and t-shirt weather. April brings a whole host of events to London, so we’ve compiled a list of the best things happening this month. There’s no better time than spring to sightsee in London. 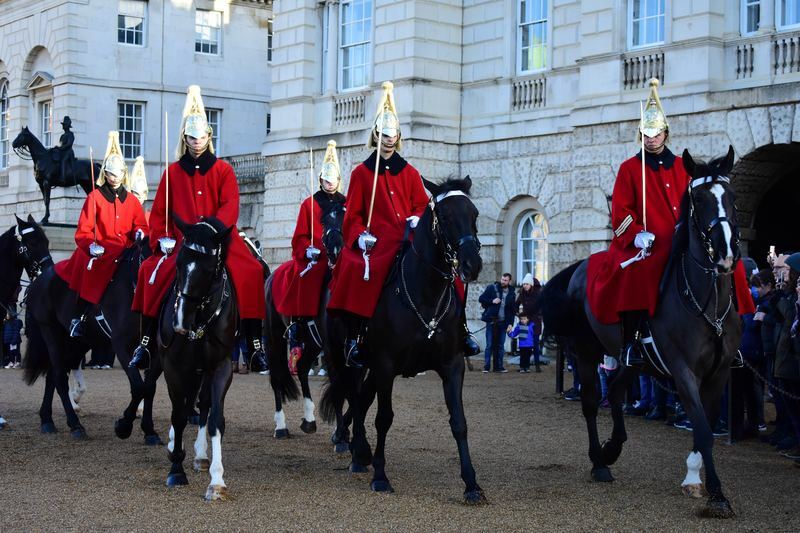 Embrace the tourist vibes and head to Buckingham Palace to see the famous Changing of the Guard ceremony. Lasting around 45 minutes from 10.45am, the ceremony is made up of soldiers on active duty from the household Division’s Foot Guards. It’s fun, free and unapologetically British – so why not check it out? It’s time to start taking advantage of the blue skies and warm weather. 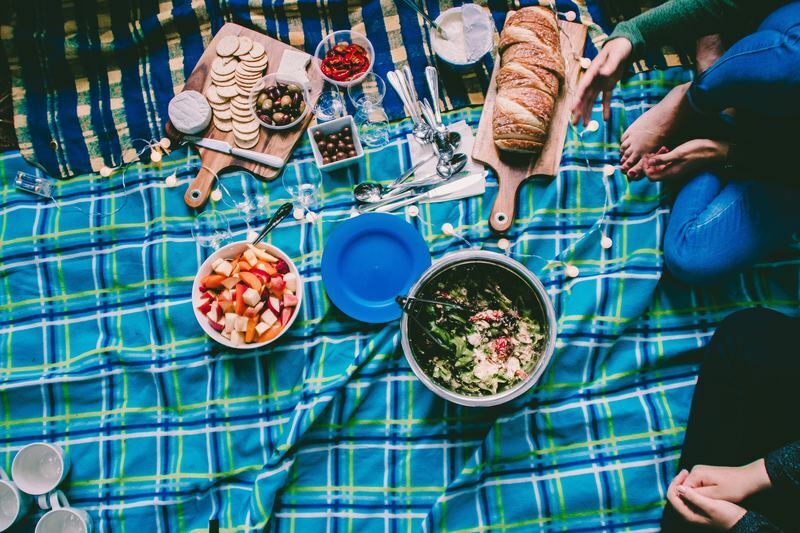 Pack a hamper and feast on some scrummy food in one of London’s best picnic spots. From Hyde Park to Primrose Hill; Hampstead Heath to Kew Gardens, experience the different views of the capital with a pork pie in one hand and a glass of bubbly in the other. Sounds glorious right? 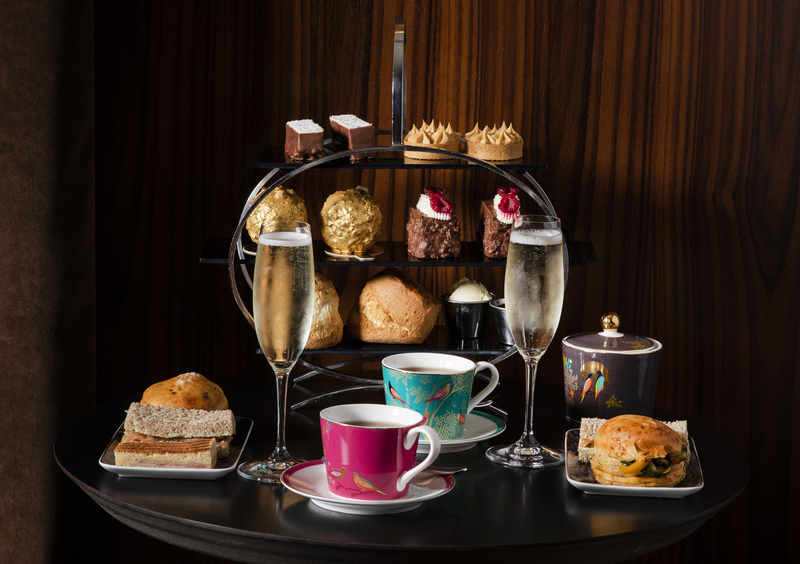 Easter is for indulgence and sweet treats, so why not enjoy a spot of afternoon tea. With a special Easter themed tea extravaganza at both Sanderson and St Martins Lane, you’ll forget all about the Easter eggs at home and be glad you picked something a little different. 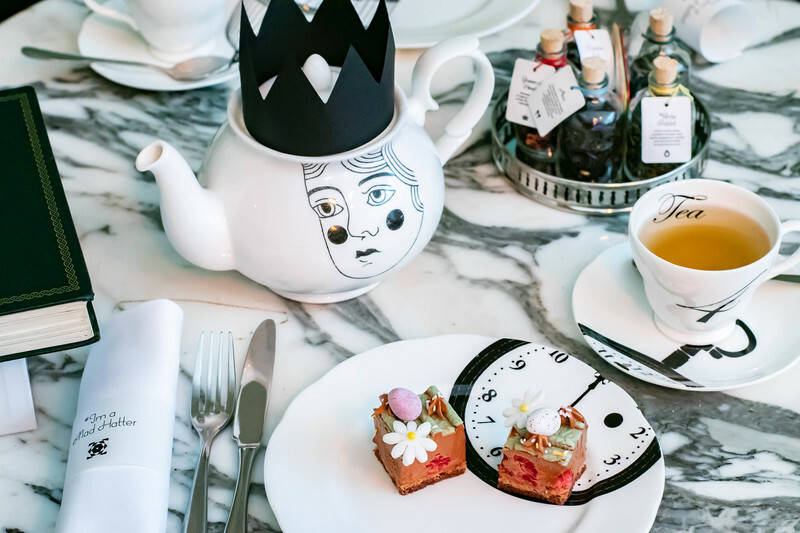 Take a tumble down the Easter Rabbit hole and discover a tea party beyond your wildest imagination at Sanderson. Enjoy a glass of Veuve Clicquot Champagne alongside a selection of dainty sweet and savoury treats, including a Cornish Crab Brioche Roll, a Queen of Hearts Rose and Strawberry Jammy Dodger, and an extra special Raspberry and Chocolate Easter Egg Cake approved by the White Rabbit himself. Visit The Den for an unconventional Afternoon Tea complete with a tasty Easter twist. Indulge in a selection of delicious savoury and sweet treats including a Brioche Croque-Monsieur, a Clotted Cream and Strawberry Preserve Scone; and because it’s Easter, a traditional Hot-Cross Bun. With comfortable leather sofas, warm lighting and a laid back atmosphere, The Den makes for a perfect place to catch up with family and friends over the Easter period. On 23 April England remembers St George, England’s patron saint. According to legend, he was a soldier in the Roman army who sleighed a dragon and saved a princess. Pretty cool, right? 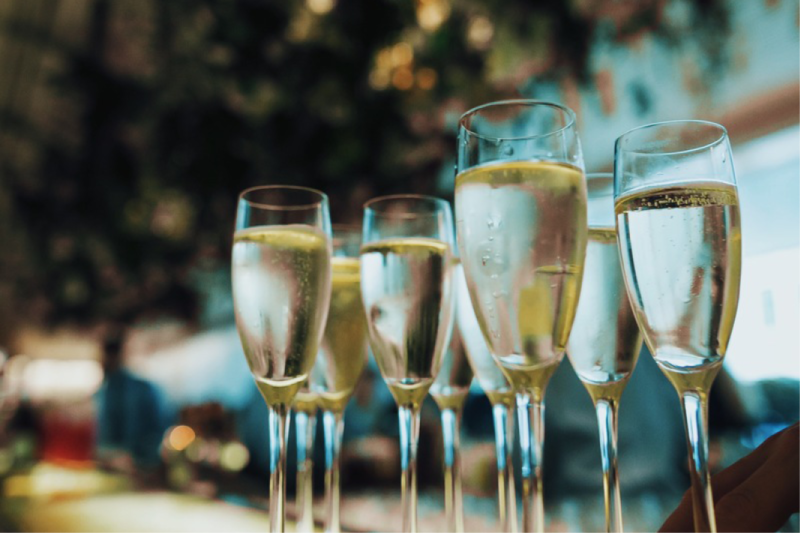 Celebrate in style and raise a toast at Long Bar. Bring on the bubbly! On 28 April, runners from all around the world will gather in capital for the London Marathon. With a stunning course spanning around the River Thames, competitors will see sights of Tower Bridge, Big Ben and Buckingham Palace before finished in The Mall alongside St James’s Palace. 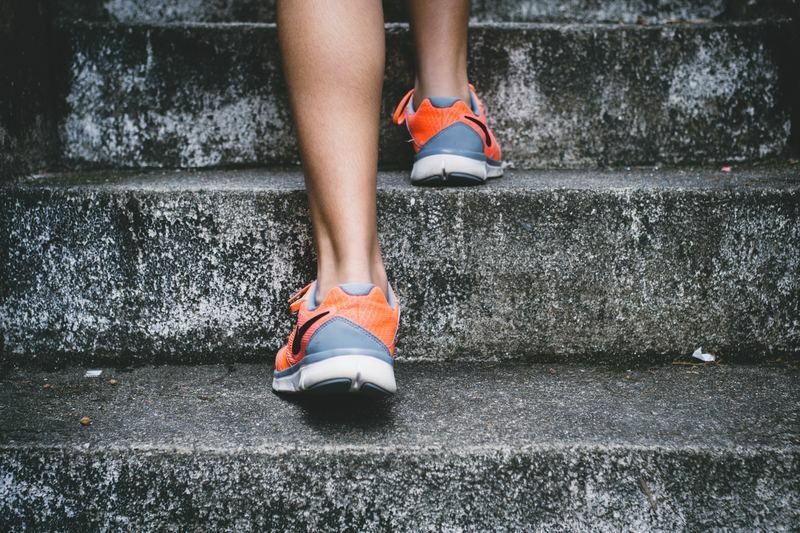 Whether you’re running, supporting or spectating, St Martins Lane will be ready to fuel your stay from 25-30 April with a marathon room package like no other. Enjoy a good night’s sleep, unlimited access to Gymbox, breakfast of your choice and a Neat-Nutrition shaker complete with protein sachets. Protein is power, so why not check out the Breakfast Egg-White Frittata or High Protein Porridge for breakfast.